Auditions scheduled for Tuesday, March 5th have been postponed to Wednesday, March 6th due to school being closed for a snow day. Also, callbacks, which were originally scheduled for Wednesday, March 6th have been pushed back to Thursday, March 7th. If you are called back and for some reason cannot be there for callbacks on Thursday, please contact Ms. Hestwood to discuss possible alternatives. Use the link below to register for the spring play. Only those that are participating should complete the registration. Auditions for the Spring Play will be held on Monday, March 4 and Tuesday, March 5 after school. Students should sign up for an audition time on the theater door or outside Ms. Hestwood’s office anytime before the audition. Please have the audition form and conflict calendar filled out prior to coming to the audition. Do not worry if this is your first experience with Shakespeare, we are looking for you to have a sense of character and great stage presence. We’ll deal with Shakespeare’s language at the audition. Tickets on sale Friday, 4/20! The time is 1936 in the home of a free spirited family whose members enjoy every aspect life has to offer. What happens when the outside world and this family collide? Endless laughter, continuous surprises, and, most importantly, great joy! 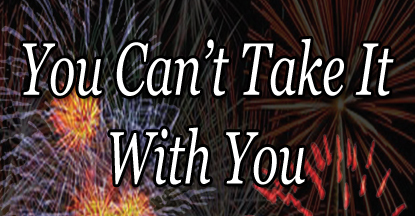 East Ridge High School presents You Can’t Take it With You by Moss Hart and George S. Kaufman. Performances are May 3, 4, 5 at 7:00pm at The Loft Stage at East Ridge High School. Tickets are $7 public/$5 students and seniors. All performances are general admission. Purchase tickets online or by calling the Box Office at 651-768-2334. Save $1 with advance purchase! Audiences of all ages will not want to miss this classic comedy! © The Loft Stage at ERHS. All Rights Reserved.